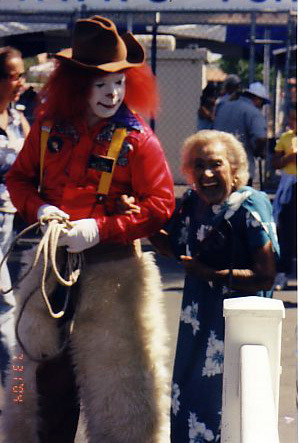 Buckaroo Veekay, ever the ladies man, ropes himself a date for the fair. 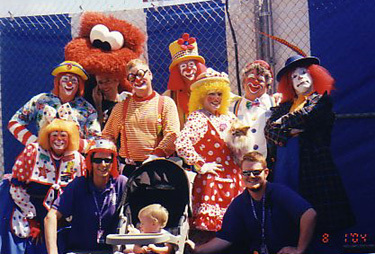 Top Row (L-R):BC, Tadpole; Center Row (L-R): Long Jeans, Sir Toby, Grandma SugarBabe, Rabioli, VeeKay; Bottom Row (L-R): Pickles, Brad, Baby Sir Toby, Rick, Sun Stage Manager. 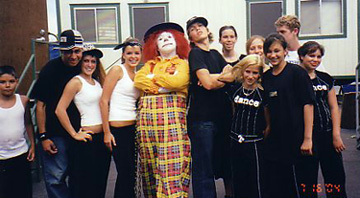 Look for "VeeKay The Clown" at the 2005 Orange County Fair. 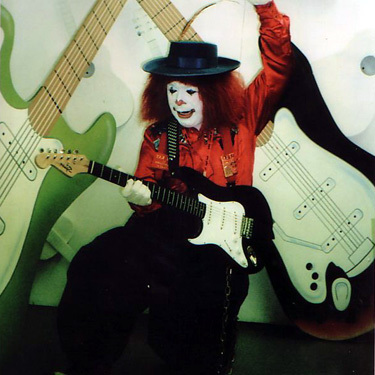 Please send an E Mail, Snail Mail, Postcard in support of Veekay the Clown, and/or The Clown Patrol. Or just send a note to say, "Howdy!"